“During the period November 1991 to January 1992, 78 shipments of zinc ingots and copper iron bars were imported by 5 different consignees from one M/s Metal Distributors (UK) Ltd.; these consignments were landed at the Bombay Port. The consignees filed bills of entry for 37 out of the 78 consignments, but subsequently failed to lift the consignments and thus, they came to be stored at by the Port of Bombay. The distinguishing factor of the above consignments was that they were shipped on “CAD Basis” i.e. cash against documents, in which the title to the goods would remain with the exporter till such a time the importer would retire the documents against payments. Facing a grave loss M/s Metal Distributors (UK) Ltd., requested the present petitioner, if they were interested in purchasing the goods. It is pertinent to mention that the present petitioner and the original consignees are no where related, and the present petitioner is a third party to the sales. On 23.03.1992, the petitioner through his agent applied to the Customs Authorities to have the Bills of Entry substituted in their name for the 37 consignments for which the original consignees had filed Bills of Entry, and also applied to file Bills of Entry for the remaining 41 consignments lying unclaimed. The formal agreement between the M/s Metal Distributors (UK) Ltd. and the petitioner was entered subsequently, in April of 1992. That on 05.05.1992 the Clearing Agent of the petitioner wrote to the Customs Authorities seeking an amendment of the IGM so that the goods could be cleared. This was followed by a communication dated 03.06.1992 from the original exporter i.e. M/s Metal Distributors UK that the petitioner had agreed to buy the aforesaid consignments since the original importers had failed to clear the goods. It is pertinent to mention that on 04.09.1992 the Customs Authority wrote to the petitioner stating that would be granting permission to amend the IGM for only 41 consignments and that the balance 37 consignments on the ground that Bills of Entry for those consignments stood filed. On 09.09.1992 the petitioner was granted a detention certificate by the Customs Authority for the aforesaid 41 consignments signifying the period of detention as from 09.06.1992 to 09.09.1992. Since the said period was incorrect, the petitioner requested the Customs Authority to correct the Detention Certificate and the same was subsequently corrected to reflect the date as 23.03.1992 to 09.09.1992. It is pertinent to mention that the Detention Certificate initially read “for procedural formalities for amending the IGM” however subsequently the aforesaid detention certificates were amended by the Detention Certificates dated 18.11.1993 and 01.12.1993 for the 41 consignments and specifically read for “bonafide operation of ITC Formalities”. In the meantime the Government of India was pleased to notify the “Statement of Guidelines for Remission of Demurrage Charges”, 1992, vide which in certain cases were goods/consignments detained by Customs for “ITC Facilities” were to be considered for grant of remission from payment of demurrage for the period the goods were being so processed by Customs Authorities. In the meantime the Port of Bombay levied a total of Rs.2,81,67,333 as demurrage charges, the total remission granted by the Port of Bombay was Rs.90,52,535, and therefore demanded a balance of Rs.1,91,14,798 on the ground that the petitioner was liable to pay demurrage for the period of 23.03.1992 till 09.09.1992, on the ground that no remission could be granted prior to date of noting. In the alternative, it is argued that in view of the facts and circumstances of the case, the appellant is entitled for complete remission of the amount claimed towards demurrage on account of delayed clearance of the goods. According to the appellant “ a substantial portion of the delay occurred because of the non-clearance of the goods by the customs department. An ancillary submission in this regard is that the 1st respondent granted complete remission of the amount payable towards demurrage in the case of another importer i.e. M/s. Gilt Pack who was similarly situated. Therefore, the action of the 1st respondent in declining remission to the appellant is discriminatory. Without going into the historical details of the import export trade and regulations thereon, suffice it to state that under Section 29 of the Customs Act, 1962, the person-in-charge of a vessel entering India from any place outside India is prohibited from causing or permitting the entry of such vessel at any place other than a customs port, subject to certain exceptions. The expression “customs port” is defined under Section 2(12) of the Customs Act, 1962. Section 7 thereof authorises the Central Board of Excise and Customs constituted under the Central Boards of Revenue Act, 1963 to appoint by a notification in the official gazette, the ports which alone shall be customs ports for the unloading of imported goods and the loading of export goods etc. Indian Ports Acts, 1855, 1875, 1889 and 1908 regulated the activities of the ports in India. The Port Trust Acts of 1879, 1890 and 1905 of Bombay, Calcutta and Madras respectively regulated the activities of the said ports in India through Port Trusts (bodies corporate). 8. Some of these are repealed and others modified by the Major Port Trusts Act, 1963 (hereinafter referred to as “THE ACT”) which is a law made by the Parliament “to make provision for the constitution of port authorities for certain major ports in India and to vest the administration, control and management of such ports in those authorities”. Section 3 of THE ACT authorises the Central Government to constitute a Board of Trustees in respect of any major port. Qua the definition under Section 2(b), the Board of Trustees so constituted is called BOARD. Section 5 of the ACT declares each of the BOARDS to be a body corporate to administer, control and manage the port of Bombay. Different BOARDS came to be constituted for different major ports in the country. The 1st respondent is admittedly one of the BOARDS constituted under Section 3(1) of THE ACT. while within such limits, to anchor, fasten or lie within fifty yards of the ordinary low-water mark.” 13. Section 42(2) authorises BOARDS to take charge of the goods for performing such services. A Board may, if so requested by the owner, take charge of the goods for the purpose of performing the service or services and shall give a receipt in such form as the Board may specify. Sub-section (7) declares that when the charge of the goods is taken and receipt given, the recipient is discharged of any liability for the damage or loss occurring to the goods thereafter. 14. Section 43 stipulates the nature and extent of the responsibility of BOARDS for any loss or destruction or deterioration in the goods which were taken charge of by BOARD – details of which are not necessary for the present purpose. 15. Chapter VI of the Act deals with imposition and recovery of rates at ports. The expression “rate” is defined under Section 2(v). 16. Various services which BOARDS are obliged to perform are specified under various provisions of THE ACT. Those services fall into three categories “ (1) services rendered to the vessel entering the Port; (2) services rendered to goods either imported by vessels or to be exported through vessel, and (3) services rendered to passengers arriving or departing from vessels in the Port. any other service in respect of vessels, passengers or goods, excepting the services in respect of vessels for which fees are chargeable under the Indian Ports Act. Section 48(1)(a) and (b) indicate the nature of services to be rendered by BOARDS. Section 48(1)(c) and (d) indicate the nature of the rate payable for such services. Clause (d) inter alia provides that BOARDS can frame scale of rates for storage or demurrage of goods on any such place. The expression “such place” occurring under clause (d) must necessarily refer to the places mentioned in Section 48(1)(b) i.e. wharf, quay, jetty, pier, dock, berth etc executed by, and land or building either in “possession or occupation” of BOARDS. 19. It is apparent from the language of Section 48 that though it authorises BOARDS to stipulate and collect rates for various services to be rendered, the Act is silent regarding persons from whom such rates could be collected. It is pertinent to note that since services contemplated under Sections 49A, 49B, 50A and 50B are services exclusively to be rendered to the vessel (ship). It is reasonable to interpret that only the ship and its agents are liable to pay the rates for those services. We are fortified in our conclusion by the language of Sections 50A and 50B which make it express when they say “she would otherwise be chargeable”. 20. Section 64 authorises BOARDS to “distrain or arrest” a vessel when the master of that vessel refuses or neglects to pay any rate or penalty payable under this Act and to “detain” the vessel until the amount due to the BOARD is paid. 22. It appears to us that in view of the fact Section 42(2) only contemplates “taking charge” of the goods but not “taking possession” of goods, Parliament conferred on BOARDS the authority to “seize and detain” the goods of which charge is taken of. The purpose behind the twin declarations contained in Section 59 is a little intriguing. However, we do not wish to express any final opinion in this regard as no submission in this regard is made and such an examination is not necessary for deciding the case on hand. The circumstances in which and the nature of demurrage payable in a given circumstance has been the subject matter of considerable legal literature. However, in India, the expression “demurrage” appears to have acquired a different connotation. Under the Madras Port Trust Act, 1905, certain bye-laws were framed by the Port Trust in exercise of the statutory powers under which “Scale of Rates” payable at the Port of Madras were framed. Chapter IV thereof was headed “Demurrage”. Under the said Chapter, it was stipulated that “demurrage is chargeable on all goods left in Board’s transit sheds or yards beyond the expiry of the free days”. 25. In Trustees of the Port of Madras v. Aminchand Pyarelal & Others, (1976) 3 SCC 167, this Court had an occasion to consider the true meaning of “demurrage” occurring in the above mentioned context and opined that the “Board has used the expression “demurrage” not in the strict mercantile sense but merely to signify a charge which may be levied on goods after the expiration of free days”. 26. Regulation 2(g) of the International Airports Authority (Storage and Processing of Goods) Regulation, 1980 made under the provisions of the International Airports Authority Act, 1971, defined the expression ‘demurrage’ to mean, the rate or amount payable to the airport by a shipper or consignee or carrier, for not removing the cargo within the time allowed. 27. By virtue of Section 59 of THE ACT, the 1st respondent had a lien on goods placed on or in the property of the 1st respondent “for the amount of all rates leviable under the Act” and also the authority/right to seize and detain goods placed on or in any premises belonging to the 1st respondent until the amount due towards the rent or any rate for any services rendered by the 1st respondent with respect to such goods is fully paid. Further, the 1st respondent is also entitled under Sections 61 and 62 to sell the goods in question so seized and detained without the need to file a suit for the recovery of the amounts due to it. 32. In support of this submission, the appellant relied upon three judgments of this Court in The Trustees of the Port of Madras by its Chairman v. K.P.V. Sheik Mohamed Rowther & Co. & Others, (1963) Supp. 2 SCR 915 (hereafter “ROWTHER-I”), Trustees of the Port of Madras, Through its Chairman v. K.P.V. Sheikh Mohd. Rowther & Co. Pvt. Ltd. & Another, (1997) 10 SCC 285 (hereafter “ROWTHER-II”) and Forbes Forbes Campbell & Company Limited v. Board of Trustees, Port of Bombay, (2015) 1 SCC 228. ROWTHER-I is a case which arose under the Madras Port Trust Act, 1905. In exercise of the power under Section 42 of the said Act the Board of the Madras Port Trust made certain scale of rates. One of the items in the scales stipulated charges to be paid by “masters, owners or agents of vessels” in respect of port trust labour requisitioned and supplied by it but not fully or properly utilized. A writ petition came to be filed in the Madras High Court for a direction to the Board not to enforce the said rates. It was argued that under provisions of the Madras Port Trust Act, certain services are to be rendered to the vessel and certain services to the goods carried by the vessel. The service such as the one for which the rate had been demanded was a service rendered to the consignee and not to the steamer agent. Therefore steamer agents could not be compelled to pay the rate for the said service. The appeal was allowed by this Court upholding the authority of the port trust to collect the ‘rate’ from the steamer agent. 34. This Court held that BOARD receives goods as a sub-bailee from the bailee (ship owner) through the bailee’s agent (See para 49 of the judgment). This Court upheld the impugned provision which fastened the liability upon the steamer agent. This Court opined that the goods were delivered to the BOARD by the consignor’s bailee (the ship owner) through the steamer agent (the bailee’s agent) making the BOARD a sub-bailee. Therefore, the service rendered by the BOARD is a service to the owner of the ship. ROWTHER-I is not an authority for the proposition that a BOARD could collect rates due for the services rendered to goods only from the steamer agent. Nor did this Court deal with the question whether the title in the goods is a relevant factor for determining a BOARD’S right to collect the rates. 35. In ROWTHER-II, the question was “whether demurrage charges, harbour dues etc.” were to be recovered from the consignee or the steamer agent. The Madras High Court concluded that the consignee was liable to pay the demurrage. It was a case where the goods remained in the custody of the Port Trust for a long time and were ultimately confiscated by the customs authorities. Whether demurrage was to be recovered from the steamer agent or the consignee was in issue. High Court held that the steamer agent’s responsibility ceases “once the goods are handed over to the Port Trust” and the bill of lading is endorsed. The High Court further held that upon the endorsement of the Bill of lading, “the property in the goods vests” in the consignee and therefore the steamer agent’s responsibility for the custody of the goods ceases. The High Court, therefore, concluded that only the consignee was liable. The question arose in the context of the BOARD’S resolution to recover the rent (on cargo transported in containers) from the steamer agent. The steamer agent contended that neither THE ACT nor the subordinate legislation made thereunder created such liability either on the ship owner or his agent (steamer agent). and concluded that once the bill of lading is endorsed or the delivery order issued, it is the consignee or endorsee who would be liable to pay the demurrage and other dues of the Port Trust Authority. It further held that in all other situations the contract of bailment is one between the agent of the bailor and the BOARD (Bailee) fastening the liability on the (steamer) agent for such rates till such time the bill of lading is endorsed or delivery order is issued by the steamer agent. 37. With respect, we agree with the conclusions recorded by this Court in the cases of ROWTHER-II and Forbes that a BOARD could recover the rates due, either from the steamer agent or the consignee but we are of the humble opinion that enquiry into the question as to when the property in the goods passes to the consignee is not relevant. We have already noticed the submission of the appellant that the appellant is not liable to make payment of any demurrage incurred prior to the acquisition of title in the goods by the appellant. Enquiry into the title of the goods and the point of time at which the title passes to the consignee is equally irrelevant for determining the authority of a BOARD to recover the amounts due to it under THE ACT. The authority and right of a BOARD to recover its dues either from the steamer agent or the consignee flows from two different sources: Section 158 of the Indian Contract Act, 1872 read with Section 1 of the Indian Bills of Lading Act, 1856. (ii) Section 59(1) of THE ACT. “5. Bailment is dealt with by the Contract Act only in cases where it arises from a contract but it is not correct to say that there cannot be a bailment without an enforceable contract. As stated in “Possession in the Common Law” by Pollock and Wright, p. 163. As rightly opined in FORBES’ case, there is no bailor and bailee relationship between the BOARD (the 1st respondent) and the consignee (the appellant); either voluntarily or statutorily compelled but such a relationship exists between the 1st respondent and the owner of the ship (through the steamer agent). 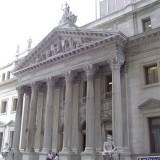 It is possible in a given case where the consignee or any other person (such as the appellant herein) claiming through the consignor, eventually may not come forward to take delivery of the goods for a variety of reasons – considerations of economy or supervening disability imposed by law etc. Therefore, in such cases to say that merely because the bill of lading is endorsed or the delivery order is issued, the consignor or his agent is absolved of the responsibility for payment (of rates or rent for services rendered w.r.t goods) would result in a situation that the BOARD would incur expenses without any legal right to recover such amount from the consignor and be driven to litigation for recovering the same from the consignee who did not take delivery of the goods with whom the BOARD had no contract of bailment and consequently no contractual obligation to pay the ‘rates or rent’. 39. Enquiry into the relationship between either the BOARD, the consignor of goods, the owner of the vessel and the steamer agent on one hand or the consignee and the BOARD on the other, in our opinion, is wholly irrelevant in examining the right of the BOARD to recover the amounts due towards the rates or rent for services rendered with respect to the goods. The right of the BOARD is unquestionable. The only question is: from whom can the BOARD recover “ we emphasise the question is not who is liable. Depending on the nature of the relationship between the consignor and consignee, the liability may befall either of them. 41. Title to the goods is irrelevant even in the cases of a bailment arising under a contract. Any person who is capable of giving physical possession of goods can enter into a contract of bailment and create bailment. Under Section 148 of the Contract Act, ‘bailment’, ‘bailor’ and ‘bailee’ are defined as under: “A ‘bailment’ is the delivery of goods by one person to another for some purpose, upon a contract that they shall, when the purpose is accomplished, be returned or otherwise disposed of according to the directions of the person delivering them. The person delivering the goods is called the ‘bailor’. The person to whom they are delivered is called the ‘bailee’. It can be seen from the above that bailment is a contractual relationship and bailment can be created by any person who is in possession/custody of goods but not necessarily the owner of the goods. When the purpose of bailment is accomplished the goods are to be returned or otherwise disposed of according to the directions of the person (bailor) delivering them. The obligation of the bailee to return the bailed goods when the purpose of bailment is accomplished and the obligation of the bailor to pay the bailee “the necessary expenses incurred by him for the purpose of the bailment” in our opinion would attend not only a bailment by contract but every kind of bailment. 43. If the bailor has such an obligation to pay the bailee, any person claiming through the bailor must necessarily be bound by such an obligation unless the bailee releases such person from such an obligation. A consignee is a person claiming through the consignor (bailor). In the context of import of goods into India by ship, the consignees’ rights are governed inter alia by Section 1 of the Bills of Lading Act, 1856. 1. Rights under bills of lading to vest in consignee or endorsee “ Every consignee of goods named in a bill of lading and every endorsee of a bill of lading to whom the property in the goods herein mentioned shall pass, upon or by reason of such consignment or endorsement, shall have transferred to and vested in him all rights of suit, and be subject to the same liabilities in respect of such goods as if the contract contained in the bill of lading had been made with himself. 44. It can be seen from the above that the 1856 Act enacts a fiction that the consignee to whom the property in the goods shall pass shall be “subject to the same liabilities in respect of such goods as if the contract contained in the bill of lading had been made with himself”. Bill of lading is evidence of a contract between the shipper (consignor) and the owner of the ship by which the owner of the ship agrees to transport the goods delivered by the consignor to a specified destination and deliver it to the consignee. Delivery of goods pursuant to a bill of lading creates a bailment between the shipper and the owner of the ship. Obviously the legislature knew that a consignee under a bill of lading is a 3rd party to the contract but intrinsically connected with the transaction and thought it necessary to specify the rights and obligations of the consignee. Hence, the fiction under the 1856 Act, that the moment the property in goods passes to the consignee, the liabilities of the consignee in respect of such goods would be the same as those of the consignor, as if the contract contained in the bill of lading had been made with the consignee. 45. The consequence is that the 1st respondent (sub-bailee) would be entitled to enforce its rights flowing from the Bailment between the ship owner and the 1st respondent against the consignee and recover expenses incurred by it in connection with the bailment from the consignee. The terms and conditions of the contract between the consignor or person claiming delivery of the goods are irrelevant for determining the right of the 1st respondent to recover its dues. The obligations/liability of the consignee is determined by the statute. But the said obligation is not exclusive to the consignee. The consignor (bailor) is not relieved of the obligation to pay by virtue of Section 158 of the Contract Act the expenses incurred by the 1st respondent. Nothing is brought to our notice to hold otherwise. At this juncture, we must point out that the declaration under Section 42(7) absolving the owner of the ship and his agents is limited only to the obligations owed by the bailor to the consignee not to the sub bailor like the 1st respondent. 46. Section 59 of THE ACT, creates lien in favour of 1st respondent in respect of any goods and also authorises the 1st respondent to seize and detain the goods, it clearly makes a special provision. Under the Contracts Act, every bailee has no lien on the goods delivered to him. Such a lien is available only to limited classes of bailees specified under Section 171. They are “ bankers, factors, wharfingers, attorneys of a High Court and policy-brokers. It can be seen from Section 171 that only those specific categories of bailees have a right to retain goods bailed to them as security for the amounts due to them. No other category of bailee has such a right unless there is an express contract creating such a lien. Such right, in our view, undoubtedly enables the 1st respondent to claim various amounts due to it, from any person claiming delivery of the goods either the bailor or a person claiming through the bailor for the services rendered w.r.t. the goods. Denying such a right on the ground that the person claiming delivery of the goods acquired title to the goods only towards the end of the period of the bailment of the goods with the 1st respondent would result in driving the 1st respondent to recover the amount due to it from the bailor or his agent who may or may not be within the jurisdiction of the municipal courts of this country (by resorting to a cumbersome procedure of litigation). 49. We notice that the text of the guidelines permit granting of remission upto 80 per cent of demurrage in appropriate cases. We also notice that the cap of 80 per cent is not absolute. The 1st respondent can even grant complete remission in appropriate cases. (i) Admittedly, the 1st respondent granted remission to an extent of Rs.90,52,535.00 (approximately) out of the total claim towards demurrage of Rs.2,81,67,333.00. (ii) The liability to pay demurrage arose because of the non-clearance of the goods from the 1st respondent’s property for a considerable period of time. Phase II after the present appellant’s right to take delivery of goods came into existence. Such delay occurred because of the time taken in ensuring that the appellant complied with the various statutory obligations to import goods such as amendment of the IGM etc. 51. Now, we come to the submission that the respondent’s decision to decline remission to the appellant is discriminatory because remission was granted in the case of a similarly situated consignee called Gilt Pack. Unfortunately, though the High Court noted the rival submission in the context of the allegation of discrimination, it did not record any conclusion on that count. 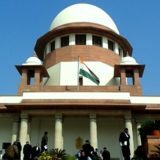 (a) The this Hon’ble Court be pleased to declare that the impugned action on the part of the Respondents 1 to 3 in not granting the remission of demurrage charges in respect of the said consignments since inception and restricting granting of remission of demurrage charges only from the date of filing of the bills of entry in the name of the petitioners were and are unlawful, illegal and null and void. Post 1997, a common authority (TARIFF AUTHORITY) for all major ports is brought into existence under Section 47A to frame scales. Section 50A. Port-due on vessels in ballast.” A vessel entering any port in ballast and not carrying passengers shall be charged with a port-due at a rate to be determined by the Authority and not exceeding three-fourths of the rate with which she would otherwise be chargeable. Section 50B. Port-due on vessels not discharging or taking in cargo.” When a vessel enters a port but does not discharge or take in any cargo or passengers therein, (within the exception of such unshipment and reshipment as may be necessary for purposes of repair), she shall be charged with a port-due at a rate to be determined by the authority and not exceeding half the rate with which she would otherwise be chargeable. In Maritime Law by a long established practice a vessel is always referred to as “she”. Lien is defined in Halsbury’s Laws of England (4th Edition, Volume 28 at page 221, para 502) as “In its primary or legal sense “lien” means a right at common law in one man to retain that which is rightfully and continuously in his possession belonging to another until the present and accrued claims are satisfied.”  Section 59. Board’s lien for rates.”(1) For the amount of all rates leviable under this Act in respect of any goods, and for the rent due to the Board for any buildings, plinths stacking areas, or other premises on or in which any goods may have been placed, the Board shall have a lien on such goods, and may seize and detain the same until such rates and rents are fully paid. Scrutton on Charterparties and Bills of Lading, Twenty Third Edition, p.380  Useful reference can be made to Halsbury’s Laws of England, Fourth Edition. Similarly, a seminal work titled “Law on Demurrage” by Hugo Tiberg covering laws of various countries on the subject. Para 49. These observations apply when the goods are to be delivered to the consignee alongside the ship and not when they are handed over to the statutory body, like the Board, as a sub-bailee. How the delivery is to be made depends on the terms of the bill of lading and the custom of the Port. The case is no authority for the proposition that in all circumstances the master of the vessel is not responsible for the performance of the acts subsequent to his placing the goods in such a position that the consignee can get them, as contended for the respondents. The delivery contemplated in these observations, is not, in our opinion, equivalent to the landing of the goods at the quay as contemplated by the various provisions of the Act. “Once the goods are handed over to the Port Trust by the steamer and the steamer agents have duly endorsed the bill of lading or issued the delivery order, their obligation to deliver the goods personally to the owner or the endorsee comes to an end. The subsequent detention of the goods by the Port Trust as a result of the intervention by the Customs authorities cannot be said to be on behalf of or for the benefit of the steamer agents.”  ..By the endorsement of the bill of lading or the issue of a delivery order by the steamer agents, the property in the goods vests on such consignee or endorsee, and thus it appears to be clear that the steamer or the steamer agents are not responsible for the custody of the goods after the property in the goods passes to the consignee or endorsee till the Customs authorities actually give a clearance. ROWTHER-I and Port of Bombay v. Sriyanesh Knitters, (1999) 7 SCC 359  Para 12. From the above, the position of law which appears to emerge is that once the bill of lading is endorsed or the delivery order is issued it is the consignee or endorsee who would be liable to pay the demurrage charges and other dues of the Port Trust Authority. In all other situations the contract of bailment is one between the steamer agent (bailor) and the Port Trust Authority (bailee) giving rise to the liability of the steamer agent for such charges till such time that the bill of lading is endorsed or delivery order is issued by the steamer agent. Trustees of the Port of Bombay Vs. Premier Automobiles Ltd. (1981) 1 SCC 228, para 11. “11. It is well settled that the essence of bailment is possession. It is equally well settled that a bailment may arise, as in this case, even when the owner of the goods has not consented to their possession by the bailee at all : PALMER ON BAILMENT, 1979 edition, page 2. There may thus be bailment when a wharfinger takes possession of goods unloaded at the quay side. A bailment is not therefore technically and essentially subject to the limitations of an agreement, and the notion of privity need not be introduced in an area where it is unnecessary, for bailment, as we have said, arises out of possession, and essentially connotes the relationship between a person and the thing in his charge. It is sufficient if that possession is within the knowledge of the person concerned. It follows that a bailment may very well exist without the creation of a contract between the parties and it essentially gives rise to remedies which, in truth and substance, cannot be said to be contractual. That is why Palmer has made the assertion that “bailment is predominantly a tortuous relation” (page 36), and the two are fundamentally similar. ‘Bailment’ is a technical term of the common law, though etymologically it might mean any kind of handing over. It involves change of possession. One who has custody without possession, like a servant, or a guest using his host’s goods, is not a bailee. [See: Pollock & Mulla, The Indian Contract and Specific Relief Acts, 13th Ed. Page 1931]  Called contract of affreightment  Section 42 (7) After any goods have been taken charge of and a receipt given for them under this section, no liability for any loss or damage which may occur to them shall attach to any person to whom a receipt has been given or to the master or owner of the vessel from which the goods have been landed or transhipped. Board of Trustees of the Port of Bombay & Ors. v. Sriyanesh Knitters, (1999) 7 SCC 359. Para 17. This section is in two parts. The first part gives statutory right of lien to four categories only, namely, bankers, factors, wharfingers and attorneys of High Court and policy-brokers subject to their contracting out of Section 171. The second part of Section 171 applies to persons other than the aforesaid five categories and to them Section 171 does not give a statutory right of lien. It provides, that they will have no right to retain as securities goods bailed to them unless there is an express contract to that effect. Whereas in respect of the first category of persons mentioned in Section 171 the section itself enables them to retain the goods as security in the absence of a contract to the contrary but in respect of any other person to whom goods are bailed the right of retaining them as securities can be exercised only if there is an express contract to that effect. For the sake of completeness in the narration it must also be mentioned that this Court held in (1999) 7 SCC 359 (at para 22) that a Board constituted under THE ACT is a wharfinger. (2) The surplus, if any, shall be paid to the importer, owner or consignee of the goods or to his agent, on an application made by him in this behalf within six months from the date of the sale of the goods. (3) Where no application has been made under sub-section (2), the surplus shall be applied by the Board for the purposes of this Act. The High Court did not record any categorical finding in this regard except stating “47. In exercise of statutory powers under section 101 of the Major Port Trust Act guidelines for remission of demurrage charges are framed.”  See International Airports Authority of India v. Grand Slam International, (1995) 3 SCC 151  The full factual background as to how it all happened is not relevant for our purpose.